A LOT has happened in the last two weeks! Actually a LOT has happened this year! 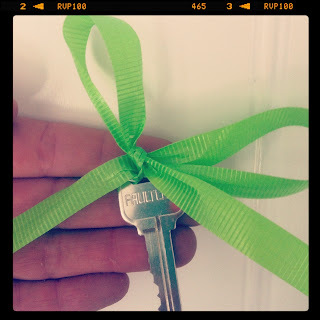 Not only did we get married in April on the beautiful, amazing island of Maui, we finally bought a house!!! WooHoo!!! Packing, cleaning, organizing, painting, nesting, working and trying to stay sane all at the same time is like O-M-G!!!!!! As they say, if it doesn't kill you, then it makes you stronger. I am thinking I am way strong and buff! Oh yeah and add working out a little here and there while also trying to keep up on the blog- CrAzY... It has been tough trying to get back into a routine and figuring out how to function on a daily basis, but I think I am almost there. So, I know I still owe two more days of my 30 days of hairstyles. I have them all ready to go and I will be putting those last two up and feel so amazing that I was able to pull off 30 different days! I hope you were able to grab at least one new style from the entire lineup to try to add into your own routine of daily style.